Situated on the southernmost tip of Bali’s breathtaking Bukit Peninsula, Karma Kandara is undeniably one of the most picturesque hunting grounds in the world. Our first-class facilities offer 2 PokeStops and a PokeGym, ideally located within the resort’s confines just an ear-shot from our first-class restaurants and bars with access to the private Karma Beach. Better yet, for a more guided experience, pick up a Bali Pokémon GO Tour Map from reception, or download a copy on our website here . 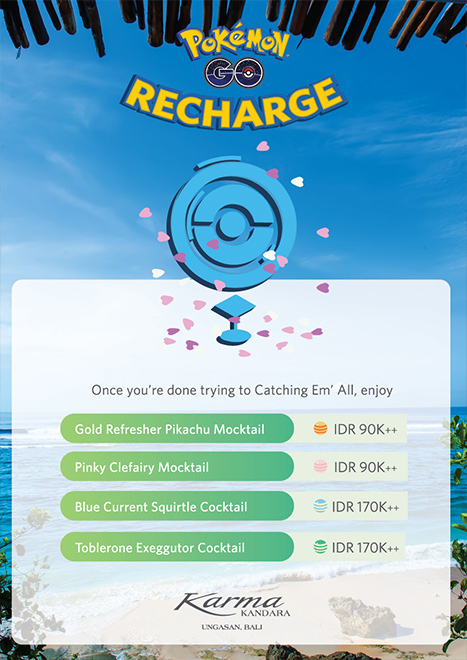 After a day spent exploring the resort’s stunning surrounds and helping the kids discover rare Pokémon species, unwind with our exclusive range of Pokémon GO Bali cocktails or mocktails at the secluded Karma Beach. Karma Kandara occupies Bali’s most breathtaking real estate, with panoramic views of the Indian ocean, secluded white sand beaches and first-class amenities just footsteps from our private villas. 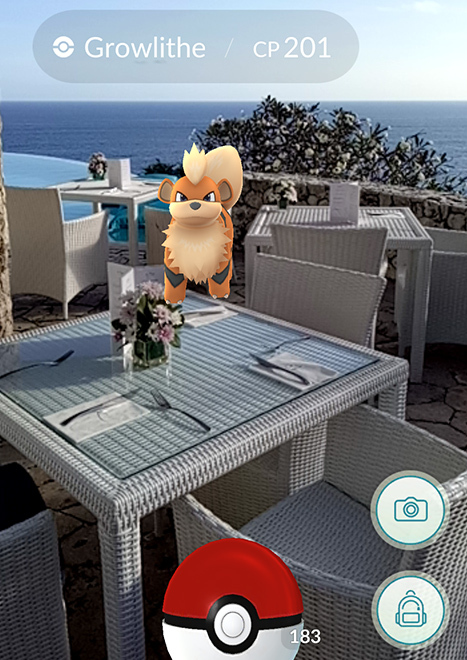 You’ve never seen a more picture-perfect hunting ground for Pokémon GO, so keep your phones charged and your eyes peeled … A whole world of discovery awaits at Karma Kandara.